10/29/09 Full Committee hearing entitled, “Legislative Hearing on S. 1733, Clean Energy Jobs and American Power Act. President Obama, on October 9, nominated two new members to the Nuclear Regulatory Commission to fill vacancies on the five-member panel. AAEA supports both nominations. They join Chairman Gregory Jaczko -- a former aide to Nevada Senator Harry Reid -- and Commissioners Dale Klein and Kristine Svinicki, all appointed in the Bush administration. William (Bill) Magwood, left, was director of the Department of Energy's Office of Nuclear Energy under former presidents Clinton and Bush from 1998 to 2005. He led the creation of the "Nuclear Power 2010" initiative. Since his retirement from government service in 2005, Mr. Magwood has been actively involved in efforts to advance nuclear industry business opportunities domestically and abroad. For the past four years Magwood has headed Advanced Energy Strategies and Secure Energy North America Corporation, which provide "strategic advice to domestic and international clients" on energy projects, including nuclear investments novel approaches to financing new nuclear power stations. 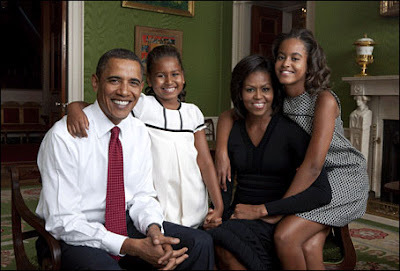 From 1984-1994, he managed electric utility research and nuclear policy programs at the Edison Electric Institute in Washington, DC; and he was a scientist at Westinghouse Electric Corporation in Pittsburgh, Pennsylvania, where he analyzed radiological and hazardous waste disposal, treatment, and handling systems. Mr. Magwood holds a B.S. degree in Physics and a B.A. degree in English from Carnegie-Mellon University. He also holds an M.F.A. degree from the University of Pittsburgh. George Apostolakis, right, is a nuclear science professor at MIT and a member of NRC's scientific advisory committee. Dr. George Apostolakis (right) is the Korea Electric Power Company professor of Nuclear Science and Engineering and a professor of Engineering Systems at the Massachusetts Institute of Technology (MIT photo-right]. He received his Ph.D. in engineering science and applied mathematics from the California Institute of Technology in 1973. He is a Fellow of the American Nuclear Society and of the Society for Risk Analysis. The African American Environmentalist Association (AAEA) will host Air Quality and Electricity: Why it Matters to You on Friday, October 30th from 10:00am-12:00pm at City University of New York’s Segal Theatre, located at 265 Fifth Avenue in Manhattan. The event will include discussions on Energy in New York, air pollution, green jobs, the Waxman-Markey Climate Change Bill and the New York State Energy Plan. To attend please RSVP by calling Lesley Cothran at(202) 944-3840 or via email at lcothran@urbanomics.com. China National Offshore Oil Corp. (CNOOC) and the Ghana National Petroleum Corp. (GNPC)are competing with Exxon Mobil Corp in bids for a stake in a very large offshore oil discovery off the Ghana coast, which is in West Africa. Exxon Mobil made a $4 billion offer and CNOOC is challenging with a rival bid. CNOOC is backed by the Chinese government and its chances of winning the bid are increased by partnering with the domestic oil company. The Ghanaian government seems to be a referee in this bidding war with Kosmos insisting that, the Ghanaian government "can't be unreasonable in their refusal" regarding the bid. The Ghanaian government must ultimately sign off on any deal. 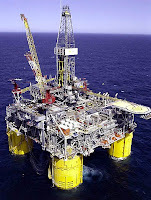 The Ghanaian government did not know that Kosmos had already made a deal with Exxon. California Governor Arnold Schwarzenegger, left, vetoed two renewable energy bills that were passed in September that would require the state's utilities to use renewable energy, like solar and wind power, for a third of the power they sell by 2020. Governor Schwarzenegger vetoed the bills because he believes his alternative plan is better and because he objected to provisions of one of the bills (AB 1404) that would limit the amount of renewable power utilities could buy from other states, saying they were "protectionist" and would be costly. AAEA supported AB 1404 and worked with other groups in California for its passage. Several renewable energy developers and utilities supported the bills, as did consumer, environmental and union groups. Governor Schwarzenegger appears to be taking the same route as the Obama administration, which is drafting climate change regulation at EPA because it appears that Congress will not be passing such legislation. The California Republican governor has ordered the state's Air Resources Board to draft regulations requiring the state's utilities to use renewables for a third of their retail power by 2020. Unlike the vetoed legislation, the new rules won't limit the amount of renewable power California utilities can buy from out-of-state facilities that are too far away to deliver the electricity in real time. 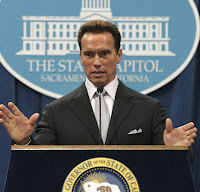 Mr. Schwarzenegger agreed with some industry groups, utility regulators and the state's grid operator that restricting out-of-state renewable energy purchases would make it nearly impossible for utilities to meet the 2020 deadline. AAEA disagrees with this assessment because it can and probaby will lead to purchasing CO2 offsets from out of state instead of making the requirement retrofits and development project in-state to meet the required reductions. Methodologies, environmental friendly construction and retrofits reduce smog-forming gases in addition to CO2, which would be particularly beneficial to minority communities suffering from disproportionately higher levels of pollution. Environmental justice groups normally oppose cap and trade in climate change mitigation legislation and regulations becuase they believe it leads to disproportionate impacts - - that is, older, dirtier plants will remain open in minority communities while credits are amassed via newer facilities outside of these areas. They believe that so called 'Hot Spots' will continue to expose minority communities to disproportionate levels of air pollution. AAEA has shared its solution to this problem to members of Congress and at EPA. Our solution is inclusion of an Environmental Justice Allowance Reserve (EJAR) in any cap and trade program. As an alternative to legislation and as an insurance policy in case climate change legislation does not pass, AAEA has developed a voluntary EJAR program that provides a platform for utilities, automakers and communities to address and influence the Hot Spots issue. Any utility, automaker or citizen can: sell to, donate or purchase compliance allowances from, the voluntary AAEA-EJAR or otherwise support the EJAR program. AAEA is currently meeting with interested stakeholders to develop EJAR projects. AAEA has also developed emissions trading platforms to directly facilitate exchanges. The Green Carbon Bank (GCB), Carbon Mercantile Exchange (CMX) and Carbon Dioxide Reduction Program (CDR) are available to facilitate emission free projects. AAEA has been registered in the EPA Acid Rain Program for years.